Lancaster Mennonite Middle School students engage in Project Based Learning in which students gain knowledge and skills by investigating and responding to an authentic, engaging and complex question, problem, or challenge. 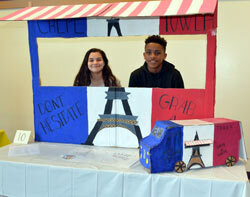 The final project of the school year centered on the development of globally-inspired food trucks. 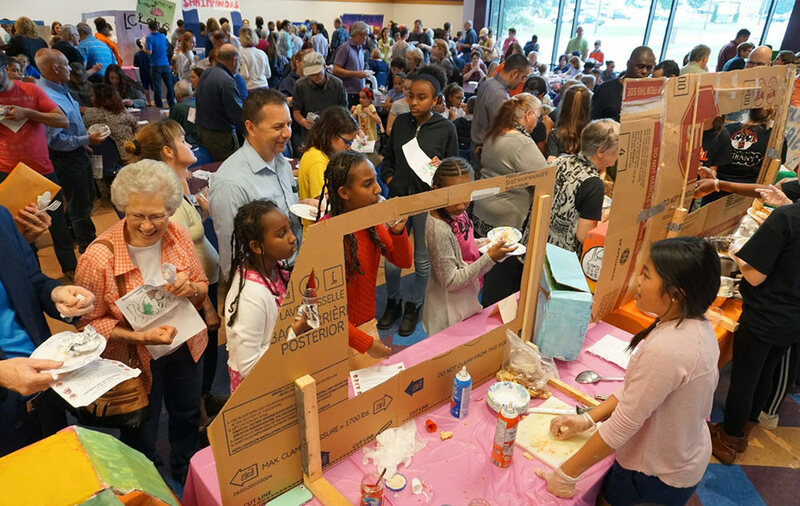 Groups of students researched a country of their choice to learn about its food and culture before preparing a presenting a representative recipe from that region at a public exhibition on May 25. Students researched the specifications of a working food truck, produced scale drawings of the interior and exterior, and developed a pricing sheet that included all the tools and equipment required to operate the truck. 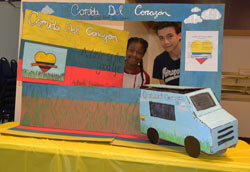 Groups created original logos that represented the culture and food of the country of origin and drafted advertisements to promote the trucks’ signature dishes. 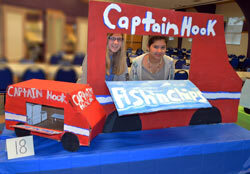 Students also constructed 3D truck models for their Exhibition Night displays. Students also learned basic cooking skills, with a focus on sanitation and safety. Groups created a cooking plan that included a standardized recipe, a quality scorecard, an equipment list and a work schedule. In addition to learning and applying these skills, students researched problems related to food waste and created public service announcements addressing this issue.